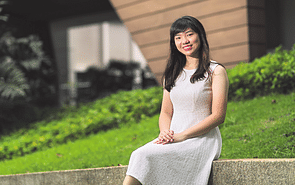 The National University of Singapore (NUS) was Miss Ysanne Yeo’s only local choice for her tertiary studies. Her alma mater, the School of the Arts (SOTA), had recommended her to NUS for early admission as well as a scholarship. 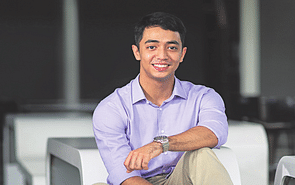 “The scholarship was a great factor in influencing my decision to study at NUS, for the opportunities it warrants. 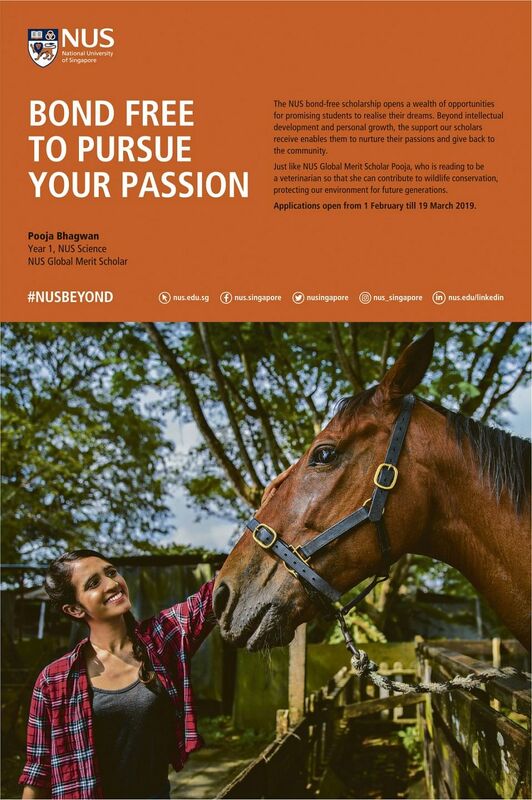 Not only is the Global Merit Scholarship bondfree, it also funds a significant portion of the scholar’s participation in overseas enrichment programmes,” says Miss Yeo. The 19-year-old is now pursuing a Bachelor of Arts in Industrial Design (Honours) at the institution’s School of Design and Environment. Besides covering tuition fees and providing an accommodation grant if the scholar is staying on campus, the scholarship includes $6,000 annual living expenses as well as a $2,000 onetime computer allowance. In addition, holders of this scholarship are guaranteed a place in a one-semester Student Exchange Programme (SEP) with one of NUS’ overseas partner universities, plus an allowance of $7,500 or $5,000 depending on where it is located. Miss Yeo hopes to make use of the exchange programme to go to the Netherlands to expand her horizons. “The SEP presents a good opportunity to explore and learn about design outside of my comfort zone, in parts of the world that I have limited knowledge about,” says the travel buff, who enjoys being close to nature and learning about different cultures. Miss Yeo also appreciates the various allowances that come with the scholarship. “The financial aid definitely provides a sense of security and support for my endeavours, which I find especially helpful since design requires considerable investment towards each project,” she says. At NUS, she is expanding her abilities and skills in this area, through course modules such as Design Fundamentals, which she found helpful in developing critical thinking and challenging her perception of design. “In this module, visualisation skills and determination are tested and put into practice. In the process, I ‘unlearnt’ what I previously thought I knew about design — for example, how clay should be moulded — to fully understand the mediums I was working with and produce satisfactory results,” she explains. She is also getting hands-on experience in using various kinds of machines — band saws, laser cutters, vacuum forming machines, and more — which she considers invaluable. “Learning how to operate machines that shape and form materials according to their individual properties and characteristics is an essential part of the process of materialising an idea. This is important in the digital age where people are becoming increasingly disconnected with manufacturing processes and are more often buying into advertised ideals,” she explains. As she is due to graduate only in 2020, she is keeping an open mind with respect to my choice of specialisation within the design field. However, she aspires to continue doing what she loves, which involves participating in the creative industry, whether locally or abroad, and being in touch with nature.